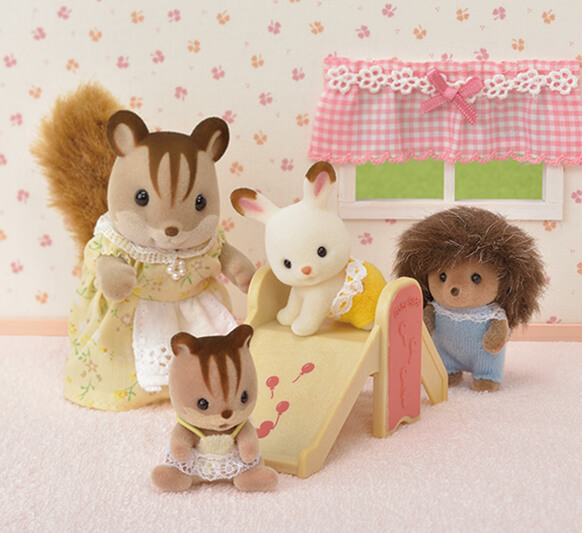 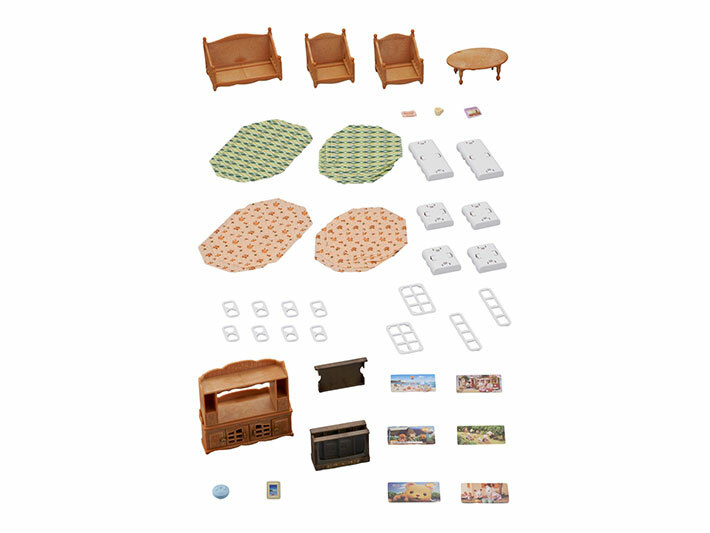 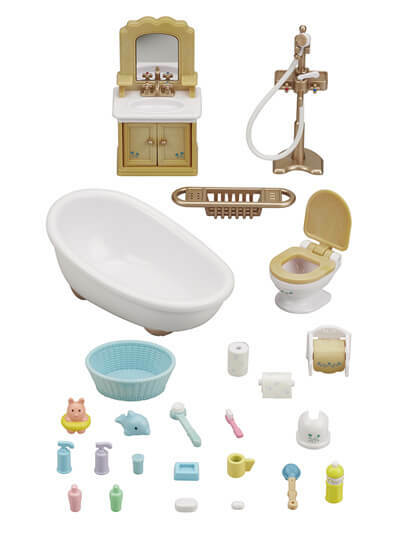 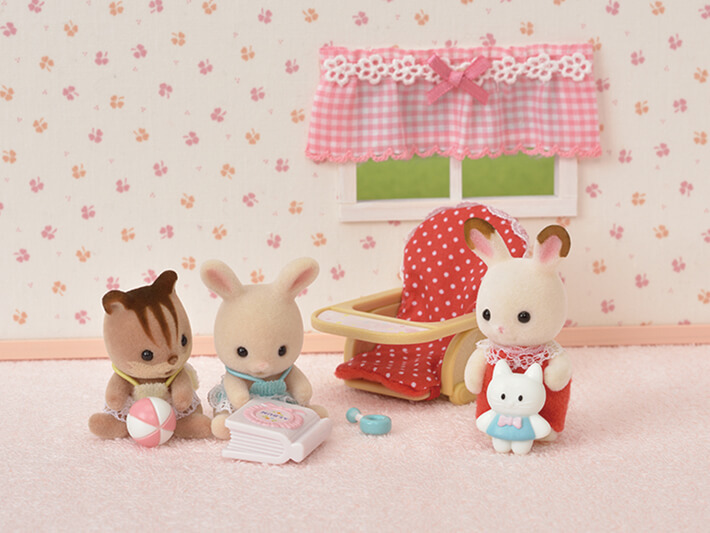 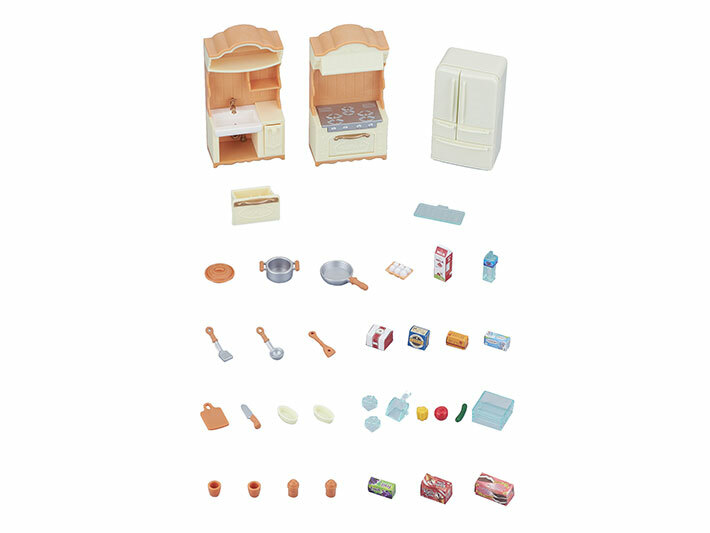 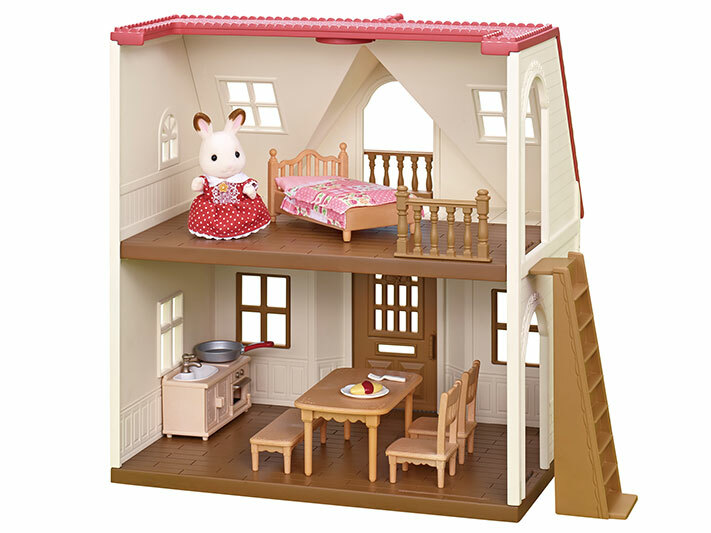 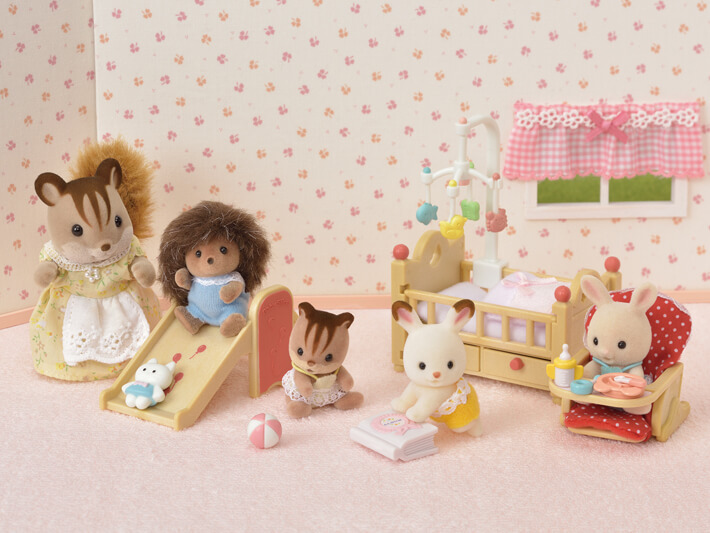 The Baby Nursery Set is a perfect furniture set to add to your Calico Critters house. 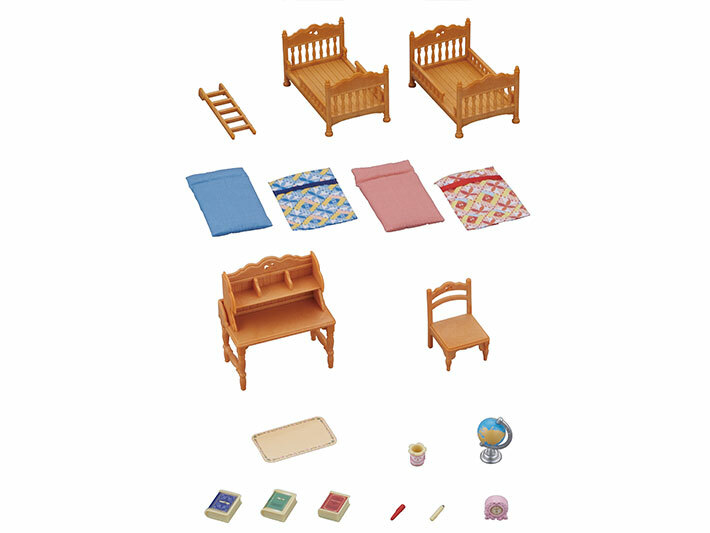 The set comes with a cot, high chair, and slide for a cute nursery room. 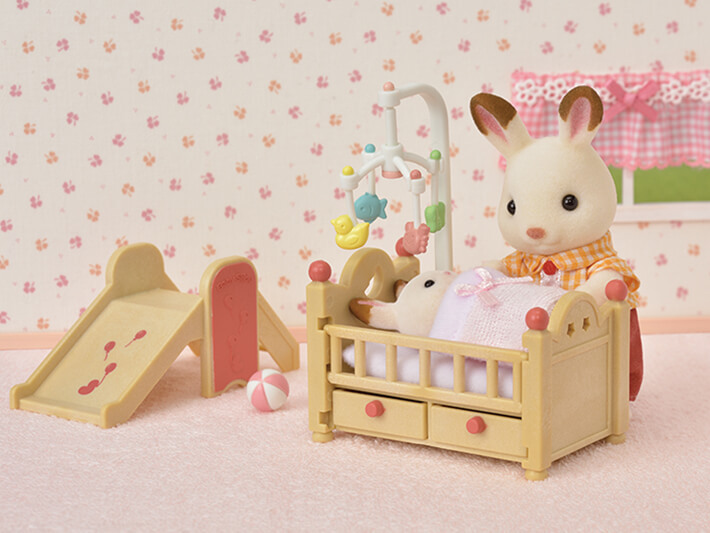 The mobile can be attached to the cot. 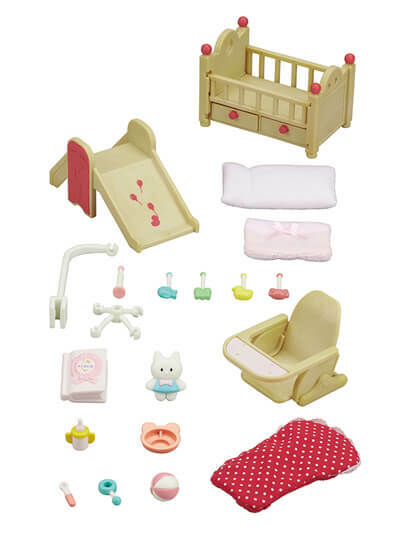 Accessories such as a bottle, plate, and toys are also included. 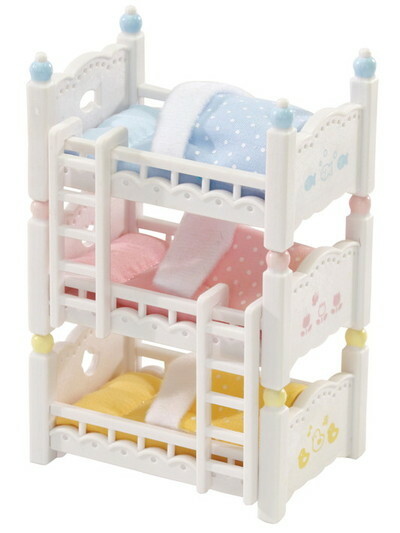 Add the Baby High Chair and Baby Jungle Gym for a more playful nursery room. 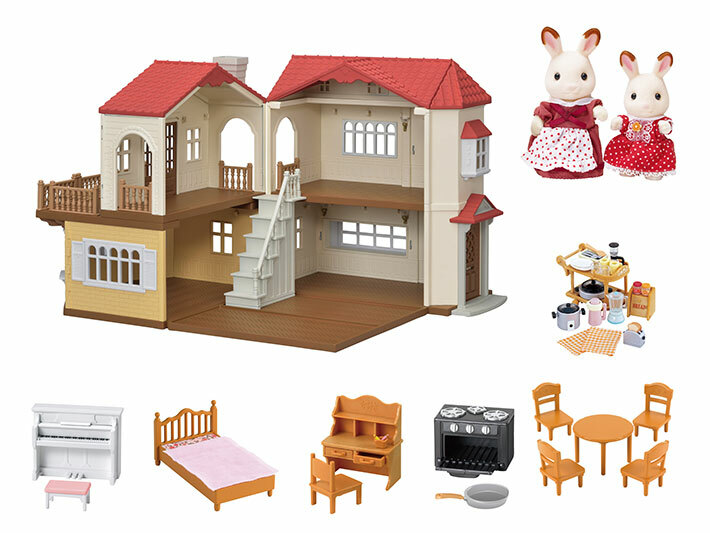 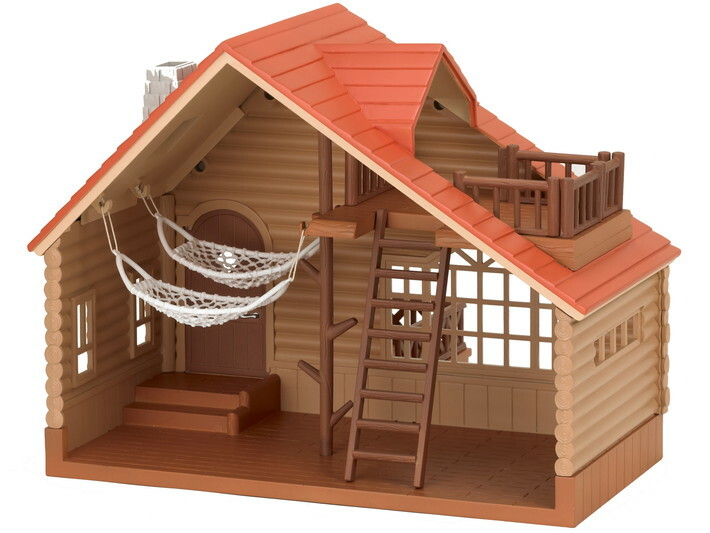 Combine with various houses, furniture and figures for even more fun (all sold separately).